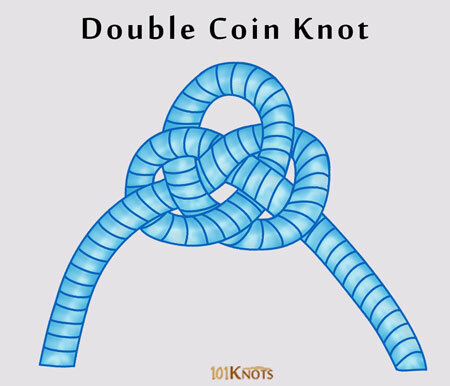 Double coin knot, is a decorative knot that appears in many ancient Chinese art forms. 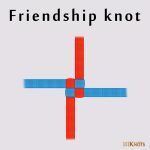 It is a variation of the carrick bend and greatly resembles it in its attractive interwoven look. 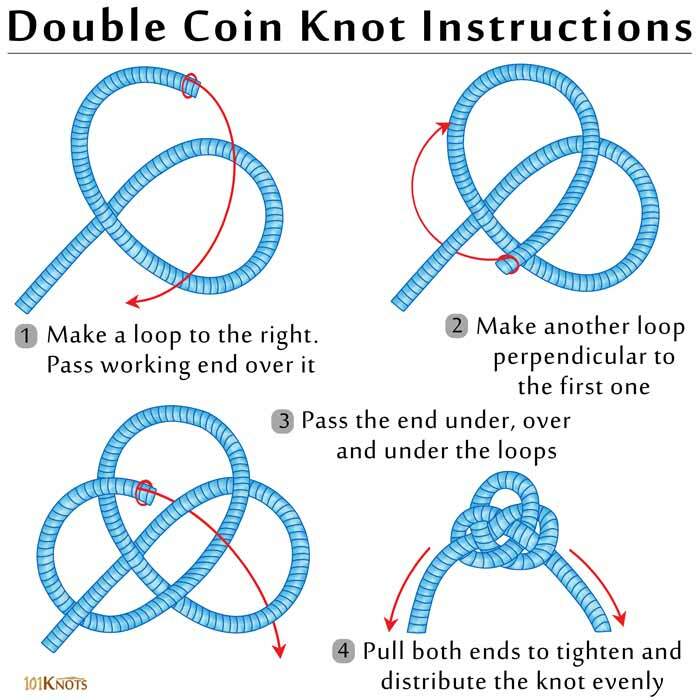 It might look a bit confusing to tie at first, but once you start making it by following the instructions below, you will find that it does not take a lot of time or effort. You can use two strands of paracord in different colors to double the line and make a bulkier, more beautiful version. To make jewelry such as bracelet and necklace patterns. Extensively used in Chinese knotting.